What are the qualities that I appreciate in the most influential and significant mentors in my life? There are many qualities that can make someone a good mentor for a young person, but the quality I believe is the most important is believing in someone such that you instill in them a sense of confidence that allows them to believe in themselves and excel. Other important qualities are leading by example, as well as providing unconditional support and encouragement. 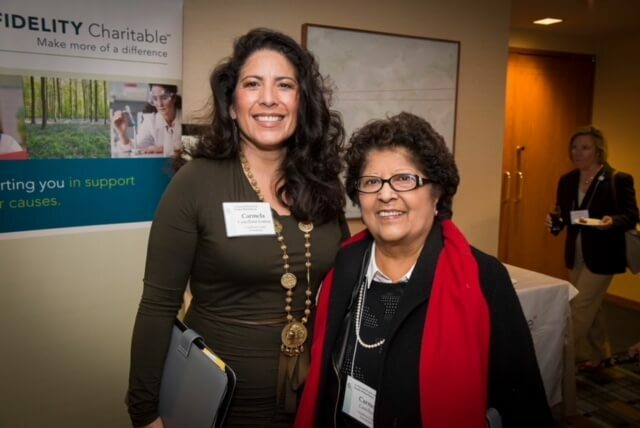 When it comes to these important mentorship qualities, I am reminded of my mom, Carmen Castellano. Throughout my journey from San Jose State University to UC Berkeley to La Universidad Central de Venezuela to Yale Law School, I felt alone and didn’t think I had a mentor. At some point along my journey, I woke up and realized my mentor had been by my side the whole time – and that person is my mother. She is someone who has always been there for me and is my most significant mentor. How do you get a sense of confidence so that you can believe in yourself and excel? For me, it started at home. My parents began instilling in me a sense of self-worth and value from birth. My mom came from humble beginnings. She was one of four girls, and while her sisters excelled in art and academia and earned college degrees, she was encouraged to pursue a career as a secretary. It was important to her to ensure her children excelled academically and she knew they had the ability to do so. Her excellent English language skills, honed during her Catholic school education and Heald Business College training, certainly helped guide her children to excel in reading and writing. My first experience with understanding the power of confidence was when I was six years old. I was in the first grade, and I remember sitting in the front row reading a book for the first time. I was sitting there reading away feeling very empowered and emboldened by my ability to read well – it was my first “girl power” meets “brain power” moment. I believe that this epiphany was fueled by the encouragement I received at home from my parents, and school is where it played out in a positive and reinforcing way. My mom continued to cultivate and build my confidence as I grew into a teenager and beyond. Growing up, we all go through that awkward phase when we are trying to figure out who we are and where we fit in. There’s the “terrible twos” and for some of us there’s the “terrible teens”. I was one of those “terrible teens” who was struggling to understand her identity and where she fit in. 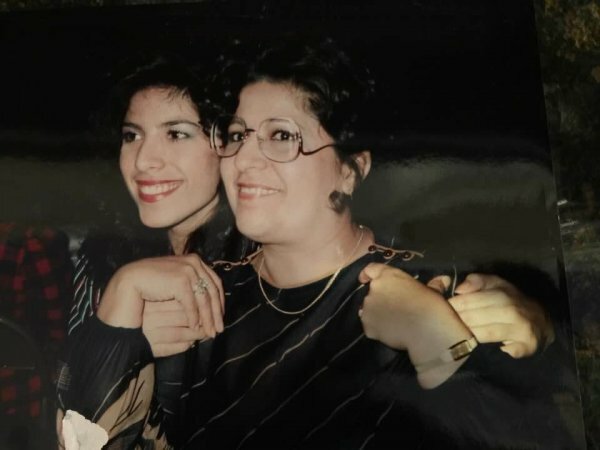 I was lucky to have my mom during those years as someone to lean on and go to when I was lost and discouraged– acting out and rebelling as some teenagers do. I made some mistakes and bad moves, but my mother never lost sight of my true potential and never gave up on me. Her unconditional love and support was what got me through those years and helped me decide to invest in my education and plan for my future. Later in life when I was accepted into Yale Law School, my father tried to convince me not to go. He was concerned about me living so far away from home and he wanted me to attend law school in the Bay Area. I was crushed that my father was not able to support my decision. After all, it was my decision to make. My mother, however, made it clear to me that as far as she was concerned, I should go to whatever law school I wanted to. If I wanted to move across the country to attend Yale Law School, she made it clear that she supported me 100 percent. It was that unconditional love and support that gave me the strength, confidence and conviction to move across the country on my own to attend Yale Law School. How does a mentor “leading by example” make a difference? I think leading by example was one of the most important ways my mom was a mentor. When I was young, my mom worked as a secretary, which was a career she excelled in. 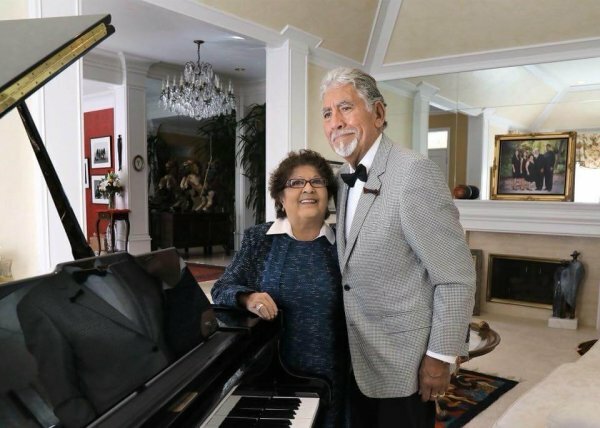 For decades she was an executive secretary at San Jose City College (SJCC) working for the college’s faculty senate, deans, and presidents. While at SJCC she shone in each of her positions, taking on broad levels of responsibility and demonstrating exceptional leadership. I had the opportunity to work with my mom for a short time while she was at SJCC. After graduating from college, as I was studying for the LSAT, I was offered a job by my mom’s boss, the President of SJCC, Byron Skinner. Little did I know at the time that being the Special Assistant to the President actually meant I was the Special Assistant to my mom. During my tenure, I saw firsthand how hard my mom worked, how dedicated she was to her job, how important it was to her to maintain excellent standards, and how she was playing a leadership role on that campus. In other words, I saw her lead by example and it made me realize a few important things about my future career: (1) I would never be able to be the perfectionist that is required of someone in her position and I could never do her job; (2) some day when I finished law school and became an attorney, I was going to need someone with an exceptional skill set and work ethic, like my mom, if I was going to be successful; (3) being excellent at your job commands respect and is essential for success; and (4) having pride in who you are and what you do is as important as the work you produce. I will always be grateful to my mother for the important role she has played in my life. She has been a constant source of support and encouragement. I believe that the lessons I learned from her in terms of professionalism and excellence have been instrumental in my own success as a CEO. She has helped shape who I am as a person and as a professional woman. I am fortunate to have had the opportunity to learn from my mother in this manner. She inspires me to want to support and mentor other young people. I am indeed blessed to have such a mentor in my life. My mother – my mentor.